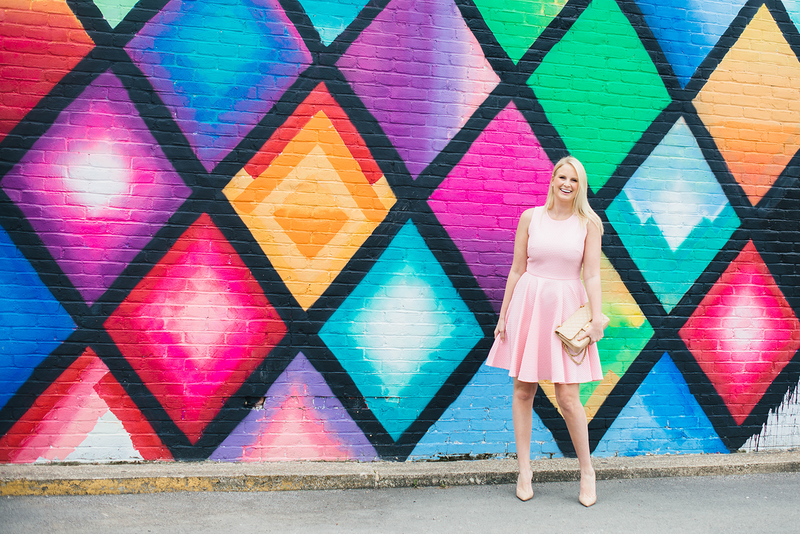 While a fun print is always a great option for a wedding or a party, I find solids to be a more lasting addition to my wardrobe. Take my favorite Chloe dress for example, I bought it three years ago and still wear it every spring/summer! When you find a timeless silhouette in a pretty, solid color, all you have to do is change up your accessories to put a different spin on it each year. 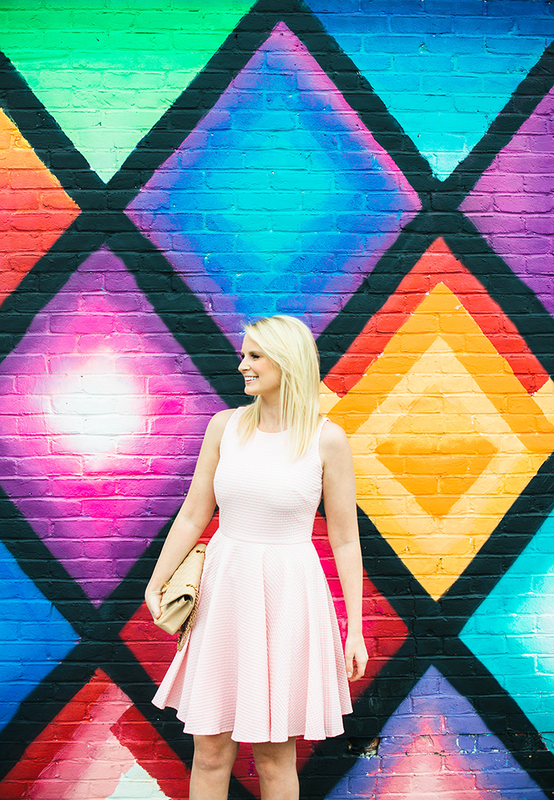 This fit-and-flare dress is the latest party number to jump into my closet. The color is perfectly pale pink, making it an ideal choice for a summer wedding. It’s lightweight too, which is a necessity in hot Texas summers. Shop more of my favorite pink pieces below! 1. Leave it to Tibi to create the most effortless popover silk dress. Such a beauty! 2. This dress takes ladylike to a whole new level. Love the bow belt! 3. The sheer embroidered neckline and ruffled hem add a unique spin on this waffle-jacquard number. 4. This Tadashi Shoji lace dress is polished and perfect for a church wedding. 5. Headed to a black tie wedding? This ruffled gown is soft and feminine. Love this pretty pink dress. Pretty! Love a great fit and flare. So timeless..
Love this sweet dress and of course the backdrop is perfection! SO pretty and love that backdrop! 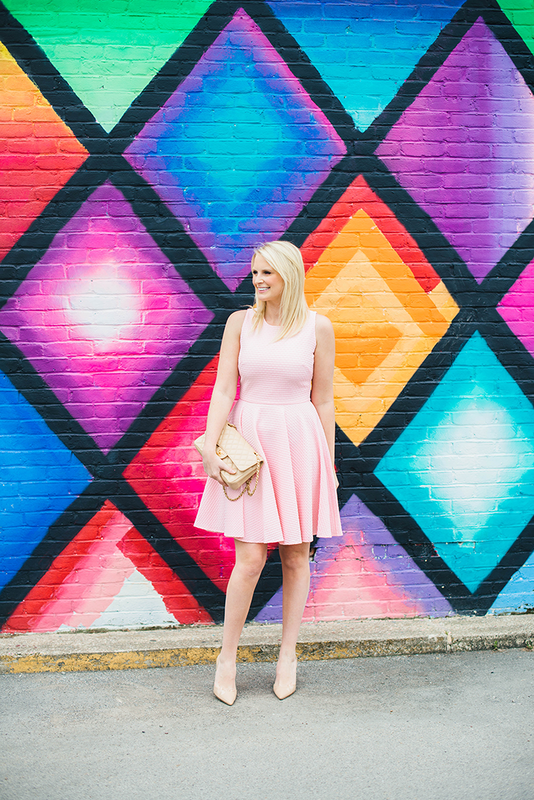 Fit and flare dresses are always so timeless and flattering. Love this one on you! 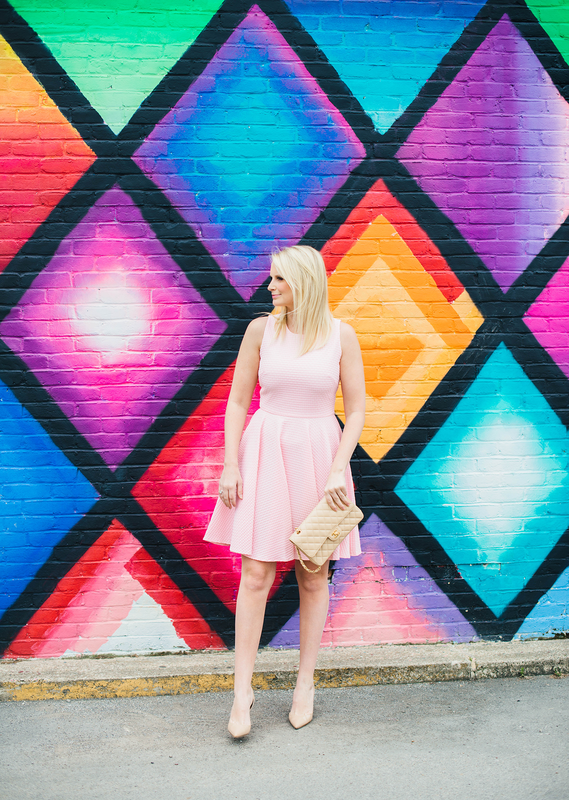 This dress is super cute – love the pale pink color. And It looks extra amazing against this fabulous wall! Love the pretty pale pink shade! So feminine and chic! What a great pic!! I am responsible for that wall. If anyone is interested in a mural or art. Contact me.